Got early up this morning to take my chance to work J8/WW2DX Lee who operates 2m EME from a holiday style DX expedition at St. Vicent & Dep. I worked him at home a week before when he was testing his equipment there he had a good signal. Knowing that I was hoping for similar signal strength and he had ! Lee joined the NØUK chatroom announcing being QRV. 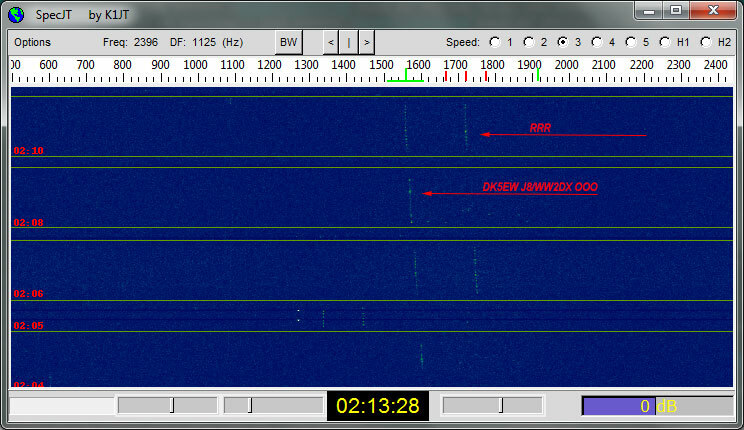 I QSY to his QRG and did call and in my 2. calling sequence he answered me directly with a booming signal. 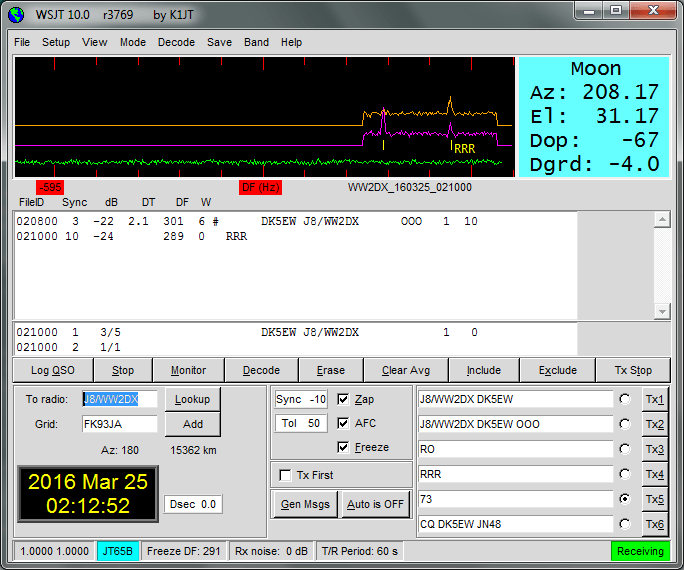 So Lee TNX for DXCC # 152 on 144 MHz.